Win a bottle of Limited Edition Elephant Sloe Gin from 31DOVER.com! Dry January? Whats that? Yeah so it's pretty obvious from my Instagram and Twitter feeds that I didn't even attempt to go dry for the first few weeks of this year but hats off to the lot of you that did! 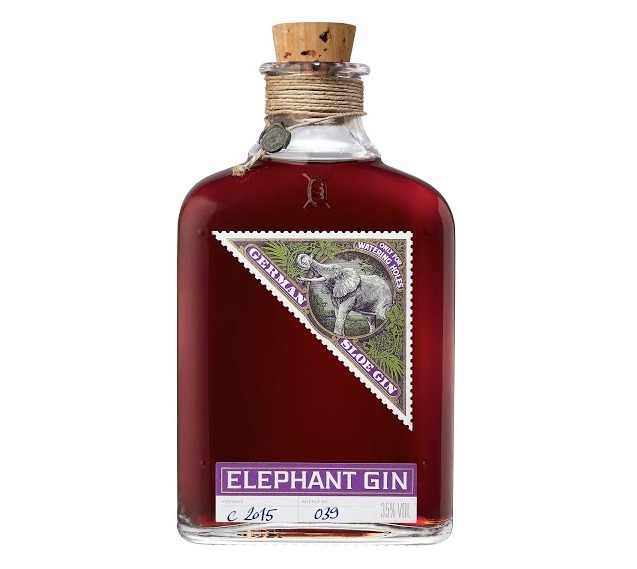 Just in time to celebrate the end of a month of abstinence for many, artisan distillers, Elephant Gin, have launched a new variation of its London Dry Gin. Introducing.... Elephant Sloe Gin. Created in small batches of 999, this delicious liqueur is made from only the best hand harvested, fresh, wild sloes which are left to macerate in Elephant London Dry Gin for several months. It's the most beautiful deepest of dark reds in colour, slightly cloudy - due to the fact it is unfiltered to retain it's incredible aromatic flavours, and tastes a perfect blend of sweet and tart. I am usually partial to a sloe gin and tonic but I personally think the Elephant Sloe Gin deserves to be savoured, neat over ice. As a pro-sloe gin drinker I can confirm it's very, very good indeed. And with that in mind, I am very excited to have a small 100ml bottle of Elephant Gin up for grabs so that one lucky reader can try it for themselves! Entry is via the Rafflecopter widget below, and everyone has seven chances of winning. The giveaway closes at midnight on 10 February 2016. Entrants must be over the age of eighteen and a UK resident. The prize will be sent directly from 31DOVER.com. Elephant Sloe Gin is available exclusively online from 31Dover.com, and also in store at Fortnum & Mason in London. I was sent a sample for the purpose of this review. Gorgeous prize - and much easier than fighting blackthorn for their fruit and then waiting ages.